At Toyota all our models deliver low cost of ownership whilst our 7 petrol full hybrid models deliver exceptionally low emissions and tax. The Benefit-in-Kind (BiK) tax charge applies to any employee who receives a company car, or any other benefit, which is for private use as part of their salary package. Low CO2 emissions are crucial to reducing BiK tax liability. 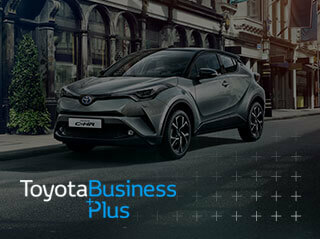 View Toyota's hybrid range here for very low CO2 emissions. The P11D form outlines the cash equivalent value of all the benefits and expenses that have been supplied to employees during the tax year and has to be completed by employers. One of the main benefits that must be included is any Company Car that is also available for private use, including travel to and from a permanent place of work. This is important whether you’re a Fleet Manager or a Company Car Driver. * Figures are provided for comparability purposes; only compare fuel consumption and CO2 figures with other cars tested to the same technical procedures. These figures may not reflect real life driving results. Fuel consumption and CO2 produced varies significantly depending on a number of factors, including the accessories fitted (post-registration), driving style, conditions, speed and vehicle load.